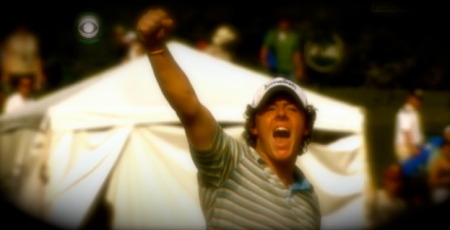 Rory McIlroy will lead a hungry new generation of European young guns to Wisconsin in search of US PGA glory next month. The Holywood star, 21, bounced back brilliantly from his nightmare 80 in The Open to share third place behind stablemate Louis Oosthuizen. And McIlroy’s manager Chubby Chandler reckons his young superstar is at the vanguard of a new wave of European talent set to sweep all before them in the same way that Seve Ballesteros, Nick Faldo, Sandy Lyle, Bernhard Langer and Ian Woosnam dominated golf in the 80s and early 90s. 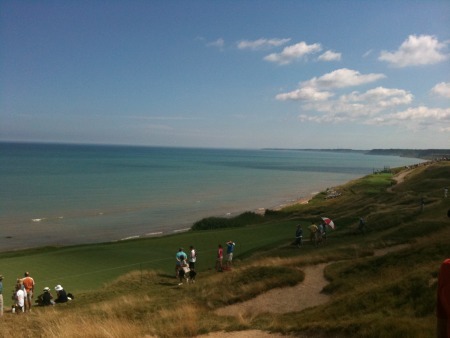 Chandler said: “After major wins by Graeme McDowell and Louis Oosthuizen, there will be a whole bunch of European Tour players going to Whistling Straits for the US PGA believing they can win. “The days when Europeans looked uncomfortable leading majors seem to have gone. And it’s not just four or five players any more like it was in the 80s and 90s - there are 25 of them now who are going to the US PGA to win. McIlroy must believe he is heading for greatness and his rivals can only pray that he doesn’t address the weaknesses in his game. At St Andrews, as the American writer Dan Jenkins pointed out over a cigarette on Saturday, McIlroy was too young to realise that a 75 was a good score on Friday afternoon. “He learned something every day at St Andrews,” Chandler said as his ISM stable celebrated its first major win on Monday. “Day one - he led a major by two. Day two he takes 80 after getting knocked out of his rhythm by the weather delay. He won’t do that very often when he’s leading majors. Just over three years have passed since Padraig Harrington cradled the Claret Jug in his arms and gestured to an 18-year old Rory McIlroy on the 18th green at Carnoustie.